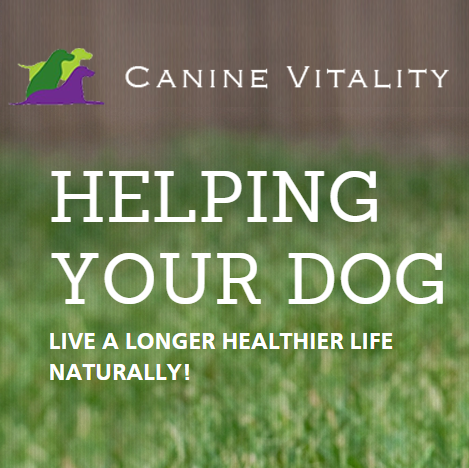 At Canine Vitality we are truly passionate about your dog's health and happiness. We ensure that the natural remedies that we offer are high quality, safe and effective and that they promote your pet's emotional and physical wellbeing and thus their ability to live long, happy healthy lives. As a Canine Naturopathy service, our philosophy is based around helping the body to resolve both acute and chronic health conditions, and regain its natural balance and health. Naturopathy looks at illness as a form of healing, and unlike conventional disease care, does not focus on suppressing the symptoms or the body's efforts to rid itself of the cause of the illness. By instead focusing on identifying and treating the deeper cause of the condition, rather than just treating symptomatically, we can help your dog to regain optimum health. Using holistic, natural treatments for your dog means we focus on the whole dog. Nature always seeks balance, and by prescribing natural diets and safe and effective natural therapies, we can help your dog to gently regain this health and balance in its body, and thus overcome many of the chronic health issues affecting them.